I'm so glad that the creative and energetic friends of Movies At Dog Farm have provided me with blog fodder. I've felt guilty about not posting for a few days, but working December in retail blows giant, hairy monkey nuts. So anyways . . . Documentary filmmaker Sean Kotz is hosting a 48 hour End Of The World Sale at bowmanbody.com. The sale (and the world?) ends on 12/21 at noon EST, so time's a wastin'. 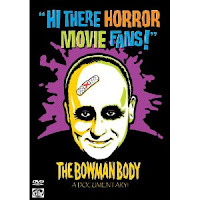 I've finally ordered my copy of "Hi There Horror Movie Fans! 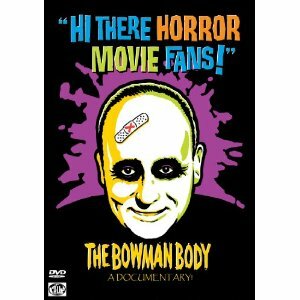 ": The Bowman Body Documentary for only $10.00! Why haven't you? I may have to scrape the Dog Farm's bank account for one of those nifty t-shirts, too. Get yours before it's too late! 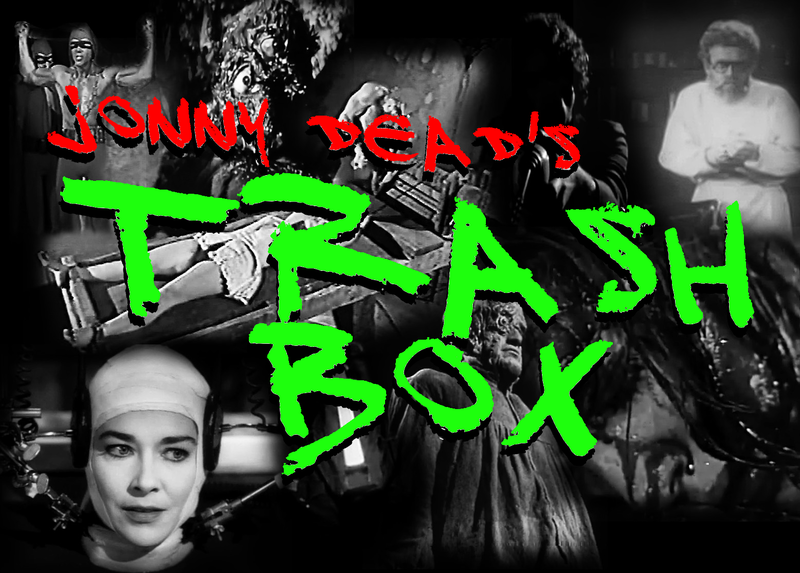 I'm pretty excited about the forthcoming first volume of Jonny Dead's Trash Box, too. Read more about it here, or just take my word for it - it's gonna be awesome! You can just go ahead and place your pre-order now . . . If you haven't checked out Blood Sucking Geek yet, be sure to take a look around while you're there. So many others are already doing such a fine job with their sites that it's almost a little discouraging, but the Dog Farm is still young (even if I'm not).